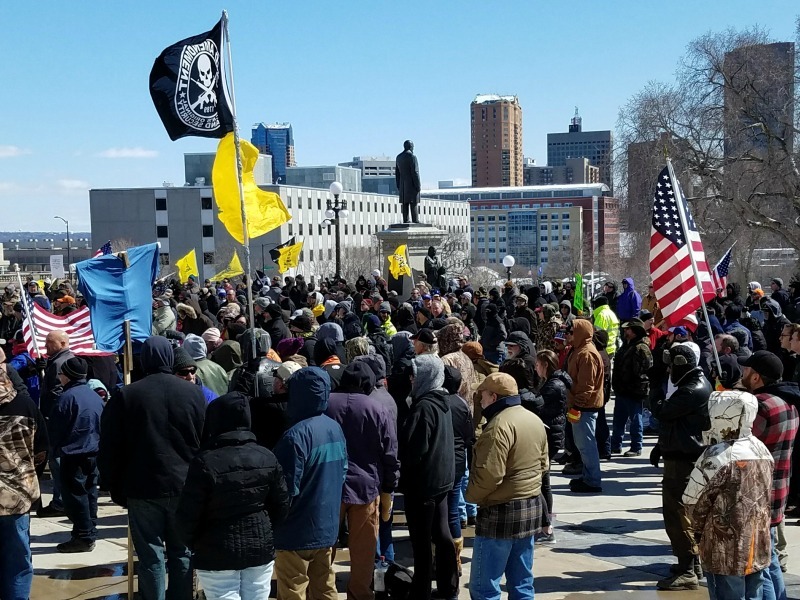 If you didn’t make it to the rally for our gun rights today at the State Capitol, you missed out! It was a great chance to get together and send a loud and clear message to the politicians in St Paul that we aren’t willing to compromise even one millimeter when it comes to our Second Amendment rights! Attendees got to take their pictures with firearms and flags, and hear excellent speeches by some great individuals and pro-gun activists who are on the front line in the fight for the Second Amendment. The most wonderful part of the whole day? 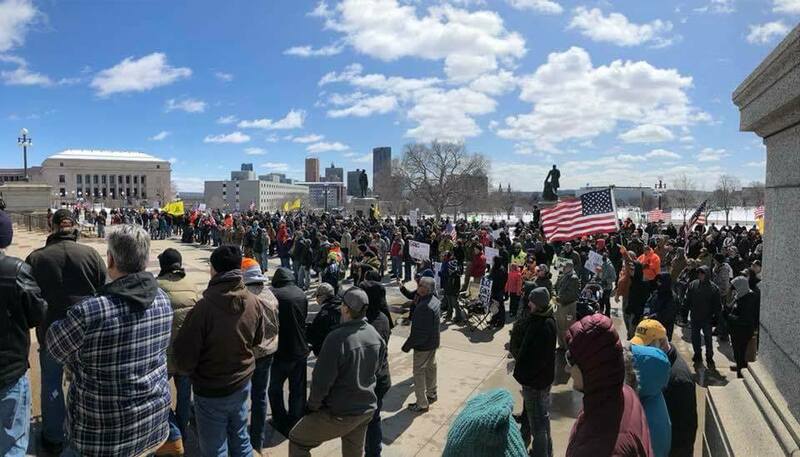 With over around 1000 pro-gun attendees carrying HUNDREDS of firearms, not a single one committed an act of “gun violence,” and it was the safest place in Minnesota! The reason why we held a rally at the Capitol is because our gun rights are under attack. For years, gun owners faced the most direct attacks from anti-gun members of the Democrat party. But right now in Minnesota the greatest threat to our Second Amendment is coming not only from anti-gun Senator Ron Latz and his cohorts, but also Republicans like Lyin’ Scott Jensen, Paul Anderson and Keith Franke who are all working hand in hand with radical anti-gunners to pass sweeping gun control yet this session! And with Republicans controlling both chambers of our legislature, they just might have the votes to do it. That’s why we’re working overtime to mobilize 10,000 more gun owners across the state to help you and me FIGHT BACK, FIRST! We don’t know whether or not they have the votes to pass this anti-gun legislation, but we aren’t waiting to find out. It is critical that we swell our ranks and have the resources necessary to meet the coming gun-control head-on, but right now I’m not confident we have enough people and resources to be successful. Today we sent the message that gun owners are gearing up for a fight against the politicians inside the Capitol. But now it is time to deliver on that message. That’s why for TODAY ONLY, we’re having a RALLY SPECIAL on our Freedom level memberships! Join MGR TODAY at the Freedom Level and you’ll receive discounted membership and a FREE MGR T-shirt and decal! Every penny you contribute will be put to use via direct mail, email, Twitter and Facebook to identify and mobilize more people to stand with us in the weeks and months ahead. The only thing that can stop these corrupt politicians and their attacks on our gun rights is you, and thousands like you from across Minnesota. The only force strong enough to save our Second Amendment rights for future generations is us gun owners, all banded together in a fighting force. Minnesota Gun Rights is working overtime to make that happen, but we can’t do it without your support. 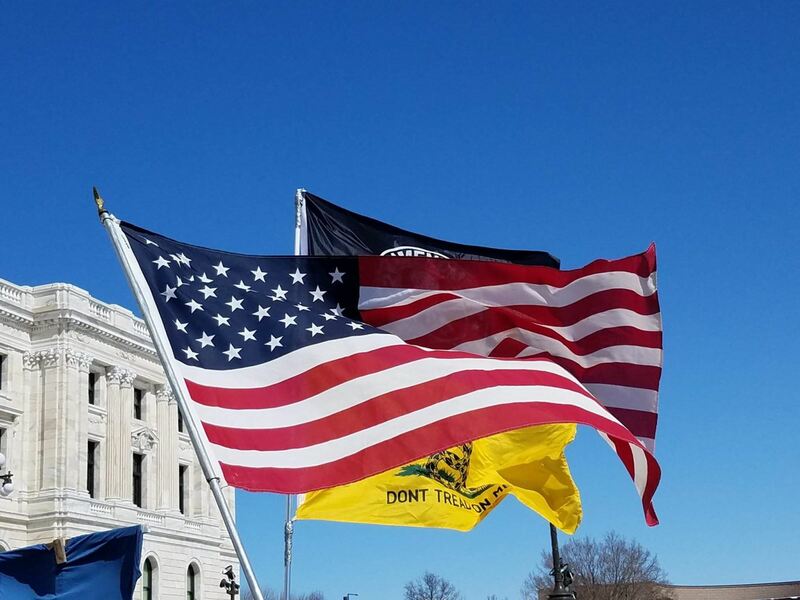 So please join Minnesota Gun Rights today with our discounted Freedom Level membership by clicking this link! If you’re already a member, please consider an extra contribution to help fund our efforts to mobilize gun owners to stop this gun-control agenda in Minnesota. Please do what you can today!